Bohol is one of the islands near in Cebu that I’ve never been to until last Sunday. I’ve had several plans going there since 2011, but my plans always never seem to push through. That’s why when I got invited along with nine other Cebu bloggers to visit Bohol, I immediately seized the opportunity and canceled all other travel plans. 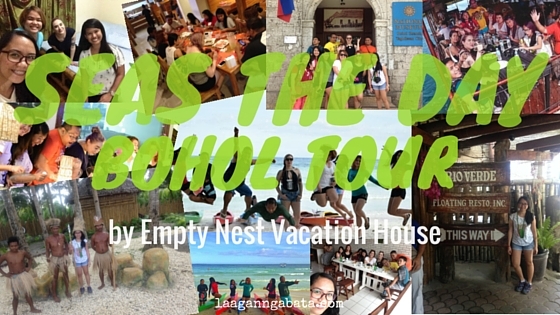 We were invited by Empty Nest Vacation House – a house in Tagbilaran City, Bohol, which has been turned into a Homestay. We stayed there from February 28 until March 1. We were privileged to experience their D-I-Y summer tour package which is the Seas The Day Bohol Tour. It was a quick trip, but so full of activities (especially eating activities :D) I would have wanted to extend for another day to visit other tourist spots such as The Chocolate Hills, Man-made Forest, and Tarsier Sanctuary but my client sent me an email about my work during the trip. I guess I’ll have to make other plans in the future. Crossing my fingers! I want to make this post as detailed as possible, that’s why I am placing hyperlinks on every place we’ve been to. Please do check them out too. Well, my departure to Bohol was a bit embarrassing. I overslept after promising myself a ‘quick’ nap. I arrived at the Cebu Port Authority, Pier 1, FIVE minutes before boarding time! My friends were already freaking out because they were not able to contact me. I did receive their messages on Facebook, but I was not able to reply because I was riding a motorcycle en route to the pier. Sorry guys to have caused you all so much stress! 😐 I promise to never do it again. We arrived at the Tagbilaran City Port at around 9 PM and we headed directly to Abi’s Seafoods and Grill for dinner. We did a quick tour and a brief interview with the owner after we have eaten. I had the best buffet dinner at the restaurant. They serve a variety of classic Filipino dishes, mostly seafood dishes. Their grilled talaba is certainly a must try! After we had our scrumptious dinner at Abi’s Seafoods and Grill, we went straight ahead to Empty Nest Vacation House. They have a very accommodating host. The place is truly a ‘home’ away from home. We had the entire place to ourselves, and if we had more time, I would have wanted to use the kitchen facilities and cook something. Guess I’ll have to do it next time if I can! The day I had been waiting for. It’s not every day you get to travel and do LOTS of activities on a leap year day. We were all pretty hyped up which was obviously evident with our smiles and giggles in our social media posts that day. To start our day, we went to Estrella Bakery for breakfast. We tried their best-selling pastries and coffees. The bakery is situated in the busy streets of Tagbilaran City near the National Museum Bohol. They are the only place in Tagbilaran City that serves Illy coffee. An Italian company founded in 1933, which delivers coffee that delights using only premium Arabica beans harvested from farms in four continents and prepared using an innovative, state-of-the-art system. After our amazing breakfast at Estrella Bakery, we headed straight to the National Museum Bohol which is located just across the street. I am not really a fan of museums but I pretty much enjoyed reading interesting stuff especially about Ube and Bohol rocks. We also had a quick tour around the house of the late president Carlos P. Garcia, the 8thPresident of the Republic of the Philippines. Here are some of the photos that I took during the tour. After walking around the streets of Tagbilaran City, we then proceeded to Sun Avenue Café at Gallares St. for lunch. I was still full when we arrived there so I only had their Tuna Garden Salad a little bit of Chicken Cordon Bleu. I would love to go back there and try their Pork Texas Ribs in the future. One of the highlights of my trip was my river cruising experience at Loboc River with Rio Verde Floating Restaurant. It was not originally in our itinerary but we got to squeeze it in our schedule. I certainly love spontaneous trips! We just had our lunch at Sun Avenue that’s why I only ate a single banana in the floating restaurant. Alas! Had I not been full, I could have experience their All-You-Can-Eat choices. Anyway, I simply wanted to immerse myself in the whole river cruising experience since going to Loboc River had been a childhood dream. After our river cruising experience, we had to catch up for another activity in Dumaluan Beach Resort in Panglao, Bohol. We did a quick interview with the resorts owner, had a tour with their newly built cottages, and had a kayaking activity with Bohol Paddler’s Association. It was the most fun and tiring activity that day. I believe all the calories we have gained were burned after that. We had our dinner at the Gustus Restaurant located at M. Torralba Street, at the back of C.P.G Complex in Tagbilaran City. They offer classic Filipino cuisine and western dishes. The restaurant is pretty new; in fact, they only started last July 29, 2015. The restaurant’s atmosphere is cozy and welcoming. It’s a perfect place to dine with your family or special someone. Our last day in Bohol was spent enjoying breakfast food and delicacies of Jojie’s Painitang Bol-anon. We had eggs, fish, bacon, and hot drinks for breakfast. We also tried their best selling kakanins, cassava cake, and many more. 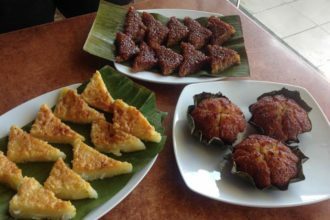 The owner even sent us home each with their biko and cassava cake specialty. All in all, my Seas the Day Bohol Tour with Empty Nest Vacation House was one hell of a trip. 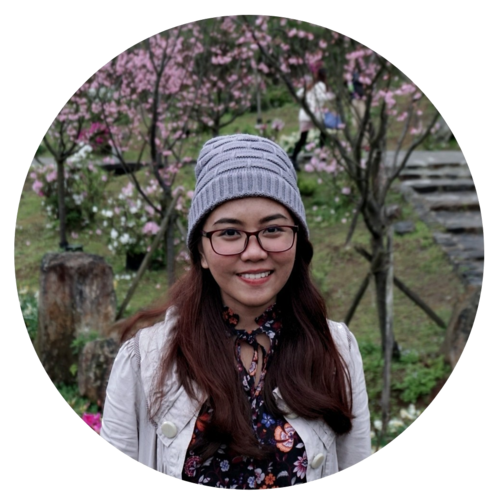 I would like to give a big THANK YOU to Ms. Hanna Dumaluan of Empty Nest Vacation House for arranging everything and making sure all of us had a great time. It was a wonderful experience and I would love to go back there with my family so they can also experience Bohol like the way I did. P.S. : Special thanks to Tienda Boholana for the delicious pasalubong. This entire trip was sponsored by Empty Nest Vacation House, Rio Verde Floating Restaurant, Dumaluan Beach Resort, Bohol Paddler’s Association Incorporated, Abi’s Seafoods & Grill, Estrella Bakery, Sun Café, Gustus, Jojie’s Painitang Bol-anon, and Tienda Boholana. All thoughts & opinions expressed in this post are solely my own and do not express the views or opinions of the aforementioned sponsors.